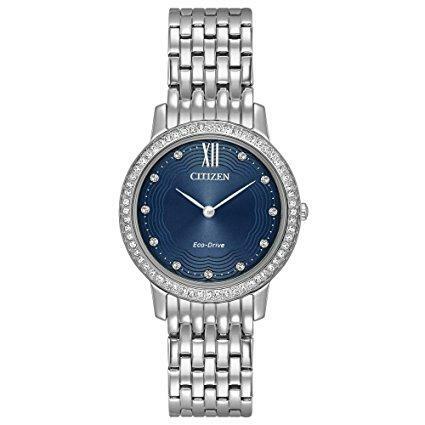 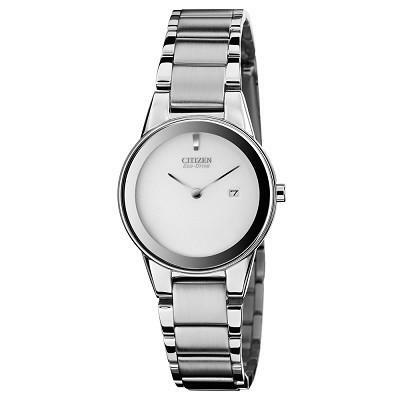 Citizen Womens GA1050-51A Eco-Drive Axiom Stainless Steel Watch. 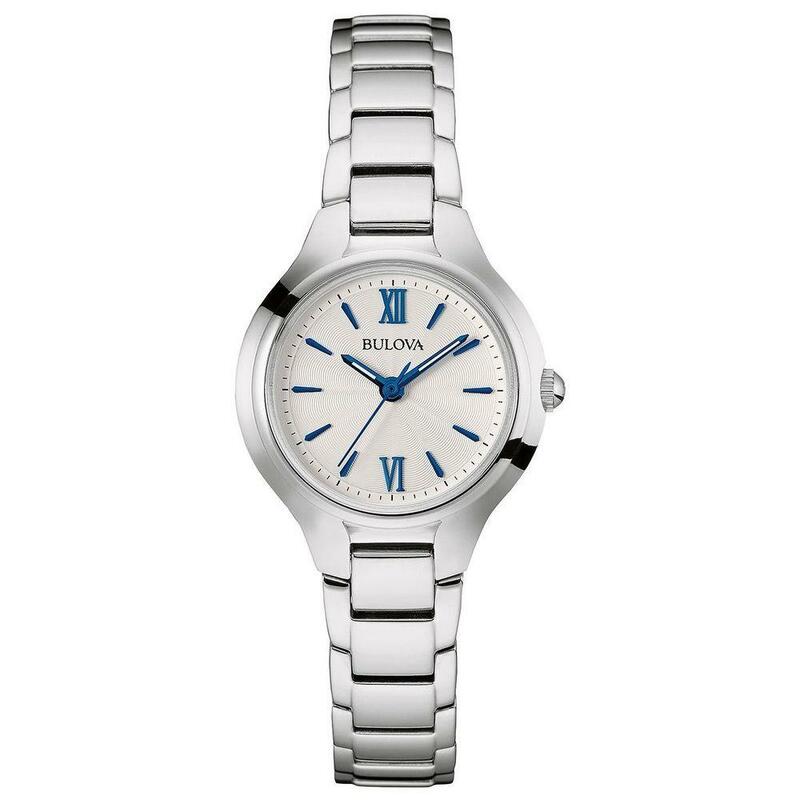 Stainless steel bracelet watch with streamlined white dial featuring date window at three oclock, 30 mm stainless steel case with mineral dial window, Japanese quartz movement with analog display Stainless steel band with fold-over clasp, Water resistant to 30 m (99 ft): In general, withstands splashes or brief immersion in water, but not suitable for swimming. 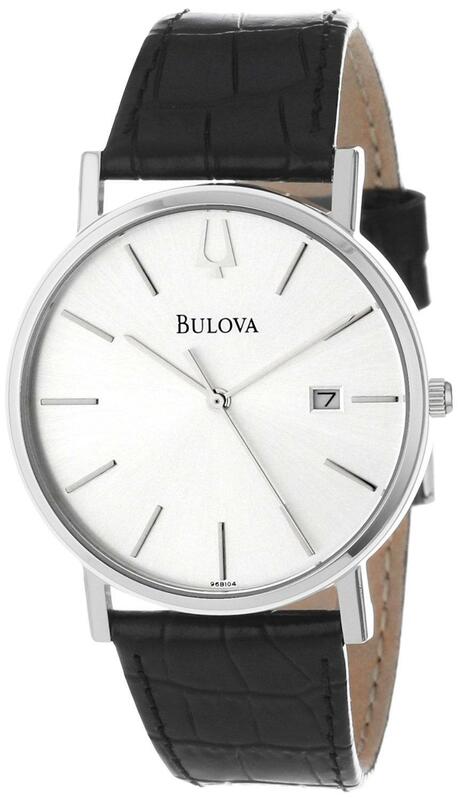 5 year manufactures warranty.